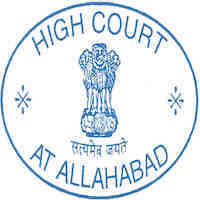 Online Application Details for Allahabad High Court Recruitment of 95 Law Clerk Trainee is given below. Application form and duly attested documents are to be sent to Registrar General, High Court of Judicature, 12C Hastings Road, Nyaya Marg, Canton, Allahabad, Uttar Pradesh-211001. In envelope super scribed with 'Application for the Post of Post Name'.